The NEMA 23 Stepper Motor is a powerhouse when it comes to larger machines that require extra torque. The NEMA 23 28 kg-cm Step Hybrid Stepper Motor can provide 28 kg-cm of torque at 3Ampere current per phase. They are the special choice for heavy duty CNC machines. They overpass the NEMA17 Stepper Motors because of their inherent operational advantages including comparably high torque at high speeds. The stepper motors move in precisely repeatable steps, hence they are the motors of choice for the machines requiring precise position control. 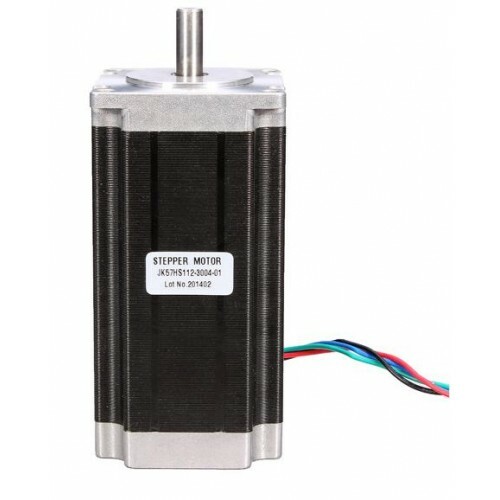 The NEMA 23 28 kg-cm Hybrid Stepper Motor provides excellent response to starting, stopping and reversing pulses from stepper motor driver. One can equip them on CNC Milling, CNC Router like application which demands extra torque than provided by NEMA17 Stepper Motors.